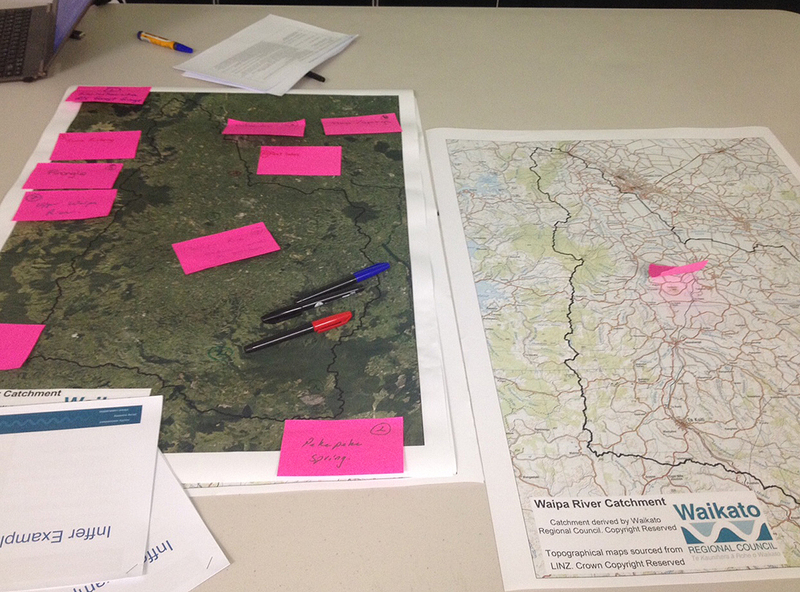 I’ve just returned from a week in New Zealand working with the Waikato River Authority (WRA) and partner organisations, including Dairy NZ and the Waikato Regional Council, exploring the application of INFFER to project prioritisation to the Waipa catchment, one of a number of major sub-regions for the Waikato. 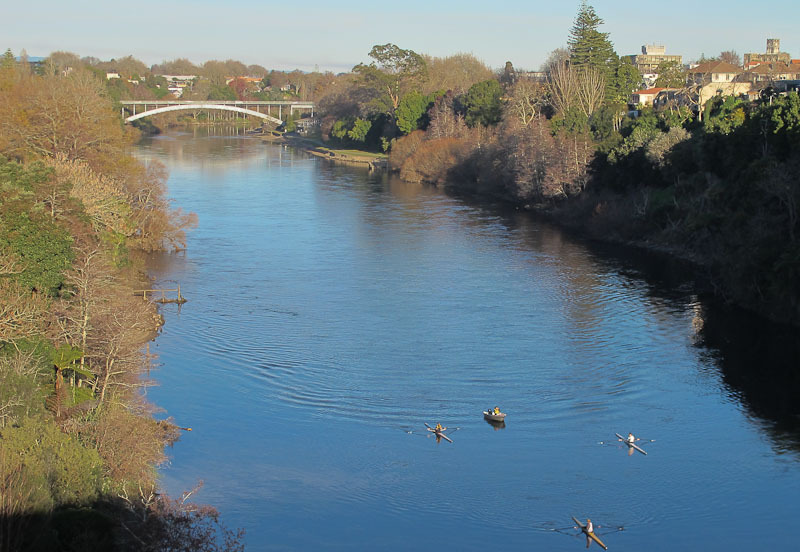 The Waikato River at Hamilton. Like many other environmental organisations the WRA is faced with the challenge of allocating scarce resources across a portfolio of many worthy projects. The WRA is an independent Crown-Iwi organisation focused on a catchment of 11,000 square kilometres to help restore and protect New Zealand’s longest river. Over the next 25 years the Authority will administer more than $250M to help achieve a healthier Waikato River. In the past four years the Authority has allocated more than $22M to 141 clean-up projects. 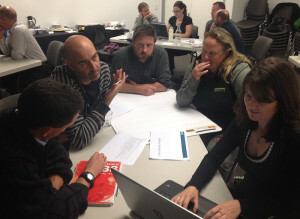 INFFER workshop in Hamilton, 11th June 2015. The high level of understanding across scientific, social and economic disciplines of the issues facing the Waikato River and its catchments. The close and respectful cooperation between the many agencies, organisations and groups involved in the project. The uniqueness of the institutional framework fostering co-management that is coordinated by the WRA – click here to learn more. It was a very busy week, with a series of meetings, workshops and presentations – a great opportunity to meet many passionate and knowledgeable people. Like much of our work I suspect I ended up learning much more from the visit than I managed to impart! 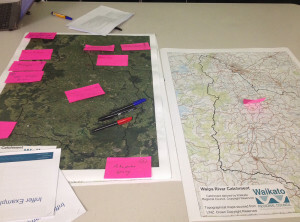 A good workshop always needs some good maps!